Father's Day is right around the corner and if you have not found the perfect gift then check out Redenvelope.com. They have so much to choose from so you will find the perfect gift. I love to entertain, so I decided to try the Cubist Appetizer Serving Set. Take their nibbles to the next level. Set includes a wooden tray and four glass dishes for everything from olives and dips to nuts and pretzels. Exclusively from RedEnvelope. tray measures 9" x 9" x 1" high. The items were packed securely and was received in perfect condition. The espresso color of the tray matched my decor perfectly and was not flimsy or cheaply made. The glassware was thick and fit in the tray perfectly. So if you do a lot of entertaining then this would be perfect for you or your dad. There was so many quality items on the site for everyone. If you are a gardener, a cook, or just want to have fun then you will find it on RedEnvelope.com. If you like RedEnvelope on Facebook you can get 20% off your order. So check out the site and you may find the perfect gift. 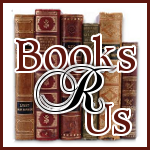 The folks at RedEnvelope have sponsored Books R Us in the upcoming Blog Blast 2011 starting June 22nd. They have graciously donated a $50.00 gift certificate to one lucky winner. So stop by on June 22nd and enter to win some lovely items that you will sure to enjoy. Disclaimer: I received a free item from RedEnvelope.com for my honest review and I was not compensated for my review. Hi There! New follower, Hop you can hop by http://www.girltechdivas.com and follow back!